Paul’s professional performing career began whilst he was in his teens; oboe recitals, orchestral concerts and church choral services were followed by theatre ensembles for the ENO Baylis Project, The Young Shakespeare Company; and notably with Gloria theatre company’s UK and USA tours of Sarasine, directed by Neil Bartlett with original music by Nic Bloomfield. Immediately on returning from tour, in 1991 Paul took up a Choral Scholarship at Magdalen College, Oxford. Alongside the intense routine of chapel services, choral concerts and tours, and recording and filming for the epic Shadowlands, he played oboe in solo, chamber and orchestral recitals and conducted the college orchestra, wrote music for and played in theatrical productions, and sang in the acclaimed close-harmony ensemble Men Only. Of equal importance to the more orthodox music-making were Paul’s frequent sojourns to the Cowley Road, where in Joe Ryan’s classic establishments, The Bullingdon Arms and The Elm Tree, Paul took up traditional fiddling and singing, an unofficial folk apprenticeship. On gaining his degree, Paul signed up as a Lay Clerk at Christ Church Cathedral, Oxford, where he stayed for five years. Amongst the many highlights of this period were choral tours to The Lebanon, Brazil and Japan, and recordings for Howard Goodall, including the theme music for Mr Bean and The Vicar of Dibley. In 1995 he gained Licentiate of the Royal Schools of Music (LRSM). Meanwhile, through friends at the Oxford Folk Club, Paul got roped into his first traditional band; at the first rehearsal, in a container in a field in Oxfordshire, he met fellow recruit Paul Hutchinson, with whom he soon formed Belshazzar’s Feast. Other projects included work with Magpie Lane, CDs of the music of Dickens, and, in 1997-8, the formation of acapella quartet Mouth and Trousers, and traditional quartet Dr Faustus. By the time Paul left Oxford in 1999, Belshazzar’s Feast were on their second album, Dr Faustus were playing clubs and festivals, and. after a short hiatus, Paul resumed ecclesiastical singing as a deputy with The Choir of Winchester Cathedral. 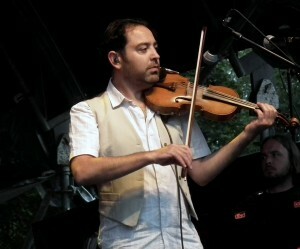 Dr Faustus eventually recorded two albums with Fellside and gained a BBC Radio 2 Folk Award nomination in 2004. Belshazzzar’s Feast decided to specialise in historical dance music, and in doing so, toured Belgium and the USA; and they also accompanied singer Ian Bruce on albums and tours of the UK and Germany. 2004 also saw the formation of folk behemoth Bellowhead, and its first gig in April of that year, at Oxford Folk Festival. A couple of years later, Dr Faustus morphed into trio Faustus, so that by 2008 Paul’s three main ensembles, Belshazzar’s Feast, Faustus and Bellowhead, were firmly established and in their ultimate incarnations. Despite a heavy performing schedule with his regular bands, Paul works with other performers whenever possible, as collaborator, guest or session musician. In the latter role he has appeared on numerous albums, including recordings by Martin Carthy, Eliza Carthy , Show Of Hands and Ronan Keating. He has appeared onstage with artists as diverse as Marc Almond, PP Arnold, Jerry Donague, Morris Offspring, Raghu Dixit, The Oysterband, The Levellers, and Enter Shikari.